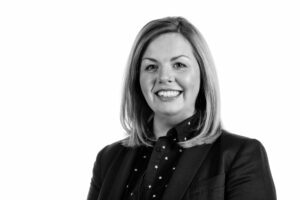 Long established Oldham firm North Ainley is pleased to announce the appointment of experienced lawyer Laura Campbell to bolster its litigation practice. Laura has spent her career to date in Manchester city centre, having trained at a large national practice before moving to top global law firm DWF LLP. With experience in all areas of litigation, Laura joins the Dispute Resolution team which has provided the people of Oldham and its surroundings with advice on personal injury, clinical negligence, employment, consumer rights, property and commercial disputes for over 100 years. Laura explains “I’ve acted for all kinds of organisations and individuals from business owners and national companies to prisoners, nurses and athletes which has exposed me to all manner of claims and taken me to the Court of Appeal…you name it I’ve dealt with it”. She added “I’m sure my family would agree that I am a born litigator and I am passionate about what I do which means I will go above and beyond to secure the best result for my clients”. When asked why she’s moved from the ‘bright lights’ of the city Laura was clear “I was keen to move away from the corporate culture but I didn’t want to compromise on quality and had been looking for an opportunity at a thriving local law firm with a long standing reputation. North Ainley more than fits the bill and I am keen to use my experience for the benefit of a more local clientele”. She added “From the moment I met with the partners I knew it would be a good fit for me…it’s a friendly, professional practice and client satisfaction is at the heart of everything they do”. Managing Partner John Ainley, welcomed Laura, saying: “This is a fantastic appointment for the firm. Laura brings a wealth of experience and a commercial attitude which will enhance our litigation practice” and her arrival coincides with an exciting time of development for both the practice and the new ‘Independent Quarter’ of Oldham, of which we are a proud part”. Geoff Lamb who heads up the Dispute Resolution team added “Laura is a confident and tenacious lawyer but she is also engaging and approachable which fits perfectly with our aim of combining a local, friendly, personal service, with city professionalism”. Laura lives locally with her husband and two young daughters where they play an active part in the village and school communities. Laura concluded: “I look forward to being part of North Ainley’s continued success and to helping ensure they remain at the forefront of the local legal community”. For more information or advice, please contact Laura Campbell at our office. This entry was posted in Business Employment, Commercial Litigation, Employment, North Ainley News. Bookmark the permalink. Both comments and trackbacks are currently closed. I really felt that Cassie was doing everything she could to ensure we got the outcome we were after. Thank you! Danielle Hursthouse, explained the legal process clearly and answered questions with patience and clarity. The office and reception staff were polite and helpful. A big thank you to everyone especially Cassie, she was very helpful and friendly and made a stressful time pass with ease! Jill Gregory and staff were brilliant. They made myself and my family very comfortable. Thank you all very much. I cannot speak too highly of the efficiency of your operation. Your documentation was excellent throughout and the charges were extremely reasonable. Thank you for a job well done! We appreciated the courtesy & service provided by all members of staff. Love all the staff. Best solicitors around. I cannot see where you could improve. You made me feel at ease as I was quite anxious. Thank you so much.